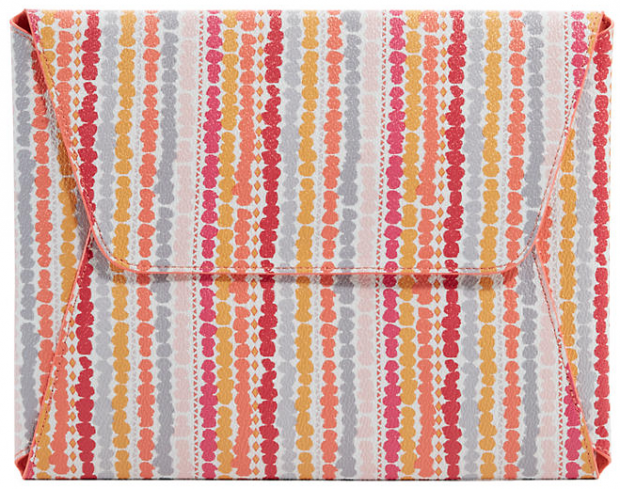 Tech Envelope/Clutch Only $24 Plus FREE Shipping! You are here: Home / Great Deals / Tech Envelope/Clutch Only $24 Plus FREE Shipping! The Tech Envelope is perfect for compactly carrying a tablet or papers and receipts. It’s made of the same pebbled PVC as other items in our B.B. Collection for durability and easy care. Easily slips into a handbag or tote for organization on the go. Get the Tech Envelope/Clutch for Only $24 Plus FREE Shipping! FREE Shipping and FREE personalization across the site! Don’t Wait!